Don't trust your wool carpet cleaning to just anyone,this can be fraught with danger. Wool is a beautifully soft and hard wearing fibre and has been used for hundreds of years to make carpets or rugs. One of the great characteristic's of wool carpeting is its ability to trap and hide soiling. This helps your carpets look cleaner for longer, but can hide harmful particles of soiling and allergens that can cause premature ware and tear to your expensive wool carpeting, and also potential health effects for you and your family. The Australian standards and the wool safe program recommend cleaning your wool carpet every twelve months. The number one step in maintaining your wool carpet is weekly vacuuming preferably with an upright vacuum cleaner such as a Dyson, Sebo or Kirby. To avoid damage to your wool carpet it is not recommend to use store bought carpet cleaners and shampoos, as these are often high in ph and anything over 8.5 on the ph scale will cause damage to your wool carpet. When cleaning up spills and stains from your wool carpet, please remember to never rub the wool fibre as this can lead to a problem known as felting, were the pile ends up fluffy and distorted and unfortunately cannot be fixed. When attending to a liquid spill on a wool carpet, it is amazing how much you can pickup just using towels and absorbent sponges if you apply some pressure. if there are residues left try gently sponging with some cold water first (Avoid Over wetting) if that doesn't work, a solution of one teaspoon of dish washing liquid and one teaspoon of white vinegar in 500 mls of warm water (Not Hot) may help. 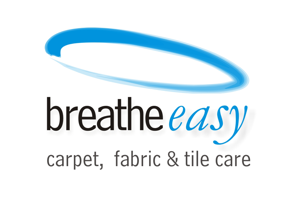 If you require further assistance please don't hesitate to contact Breathe-easy for all your carpet cleaning requirements.